Neon or more popularly called underglow lights are very popular among car enthusiasts looking to improve their car’s appearance. 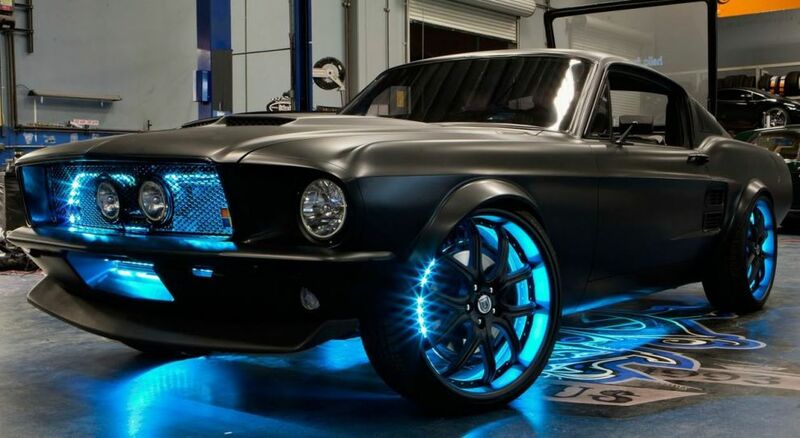 Though safety issues are less talked about with underglow lights, most car (or even motorcycle or truck) owners attach neon lights to their vehicles simply to make them look cooler. Most states now restrict the color or luminosity of neon lights and other aftermarket lighting devices attached to the car. Enthusiast drivers can take things too far sometimes, so to ensure other drivers don’t get distracted by overly flashy vehicles there are laws prohibiting various aftermarket modifications. For neon underglow, most of these laws are found under “Unlawful vehicle modifications” and “Lighting requirements”. In the state of Florida (FL), neon underglow lights are considered legal to use, but there are several very important restrictions. Below you can find the basic overview of guidelines pertaining to neon car lights in Florida. Are neon underglow lights legal in Florida? (2) Nothing contained in this chapter shall be construed to prohibit the use of additional parts and accessories on any vehicle not inconsistent with the provisions of this chapter. This means Florida laws do not prohibit installing any aftermarket or non-mandatory lights, thus using neon underglow in Florida is legal. Florida laws do not in any way prohibit using underglow or underbody lights. FL vehicle equipment regulations mostly speak of mandatory vehicle lights, but also have restrictions on which kind of vehicle lighting and colors are permitted. Based on this it is illegal to use flashing, oscillating, moving or otherwise non-stationary lights. Furthermore you should avoid using red-colored underglow visible from front of the car. Blue-colored lights are specifically prohibited. No vehicle lights including underglow may be blue, as this color is reserved for emergency vehicles. Florida prohibits displaying color red in front of vehicles. No red lights may be visible from the front of the vehicle, therefore even if your neons are hidden underneath the car chassis you should avoid color red. Furthermore, and this is very important to remember, you must never use blue underglow. Blue lights are used by law enforcement or other emergency vehicles, and Florida underglow laws expressly prohibit this color. During a traffic stop we do not recommend telling police offers your underglow can change color. Being able to display blue color may be considered an excuse for them to cite you. Mounting aftermarket lights which have the ability to display blue color is illegal, even if you are displaying other colors. Underglow system which is outside the law may result on you getting cited for a non-moving traffic violation, in which case you will be required to modify your car to conform to standards, as well as pay a fine. In Florida operating a vehicle with equipment which is not up to state regulations is considered a non-criminal traffic infraction. Displaying red and blue with white, or any combinations of these colors with white can lead to further penalties and fines. You can be charged with impersonating an emergency vehicle which is a serious crime with severe penalties. To stay completely within the law without any chance of traffic tickets, it’s always best to turn underglow off while on public roads. This article about Florida Neon Underglow Lights Laws was last updated in 2019. If any of our information is incomplete or outdated please let us know. Thank you!